I’m about to talk about vampires. So, if you don’t want to have anything to do with such a topic – run away with your hands over your ears now. Still here? Well. You asked for it. So here it is. I used to be a vampire buff. I know all the lore and have read everything pertaining to traditional vampires that there is. I mean, come one – sparkling vampires??!?! 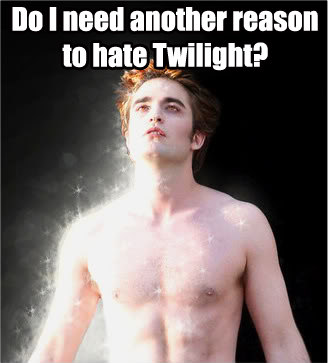 To any true vampire buff – Twilight is blasphemy of the highest order. If I could have, I would have purchased every single copy of all the books in that vile series just so I could throw them into my fireplace and watch them burn. I hated Twilight so much, that it turned me off reading or writing anything to do with vampires for a very long time. Then a friend of mine told me about The Vampire Diaries. To say I wasn’t interested would have been the understatement of the decade, but I promised to take a look. I stalled. And stalled. But finally I gave in and watched it on Netflix. I was surprised to find that I enjoyed it a little – so I watched another episode. Then I watched another, and another – and now I find myself in Season 3. The first season was epic and the others have been good, although not as good as the first. And now that I find myself in Season 3, I’ve analyzed what kept me watching – what hooked me in. First, the show kept to most of the original deadliness of true vampire lore. I did notice where it strayed and after some thought, I know why the vampires of today are different from the vampires of Bram Stoker’s world. The vampires of today are being written by authors who don’t like having a religious bent to their stories, thus – holy water, crosses, churches – anything religious is not harmful to vampires. Also, more writers are taking poetic license with their vampires. Sometimes this works – sometimes it doesn’t. The problem is, the vampires from Bram Stoker’s world were scary. Too many writers of today take out all the danger, the scariness from vampires by altering the lore. The Vampire Diaries alters some of the lore successfully, while keeping just enough of the lore to make the vampires in the series truly believable as dangerous, murderous creatures of the night. In any case, I’ve been enjoying the show and I’m looking forward to more. While the indie community has long been aware of the fact that quality books are being self-published, it seems like that fact has finally been acknowledged. A self-published author and TV reviewer, Alan Sepinwall, had his new book The Revolution Was Televised, reviewed by no less than the New York Times, and Forbes also gives the book honorable mention. While one might say, “Well, he has a name to back his book.” One cannot deny that at least the means of self-publishing has lost that “bad aura” that so many in the traditional publishing world hate to admit is gone. Hurrah for Alan Sepinwall! And may his book stay no.1 on Amazon’s charts for a long time. What’s Up With That Price-Match??? I’ve been trying for some time to get Dreams Both Real and Strange I posted as FREE on Amazon. Unfortunately, Amazon, engaged in their downward spiraling tred of doom, is not being quite as helpful as they once were. While both Barnes and Noble and Kobo have complied with my request to make Dreams Both Real and Strange I Free, Amazon still has not. Thank you for your information on pricing. From time to time, we may match free promotions on other sales channels, but we retain discretion over our retail prices. In the future, you can let us know about lower prices through our website by clicking the link to “Tell us about a lower price” under the “Product Details” section for your title. If you need to provide us with more information about this issue, please Reply to this e-mail. I would like the price to be changed to free both here and on the amazon.co.uk site as well please. Ah well, Amazon. The love I once had for you has diminished, me thinks…. I’ve read many posts lately from various authors commenting on the changes in Amazon’s algorithms. Not only that, but on top of the changes Amazon has made – Facebook has changed their policies on regarding self-promo. The face of the Indie Revolution is changing yet again. Amazon’s change in how their algorithms help indies and Facebook’s change in their self-promo policies do not have to spell the end of the Indie Revolution. What indies must now do, is change the way they think about how they offer their books. And the amount of determination writers put into this process will distinguish those who make it and those who don’t. The social media world is changing and indies who want to be able to get their content out to readers for free must change the platforms they utilize. The self-publishing industry is changing and indies who do not want to be left behind must diversify their self-publishing platforms. First, if you do not have a Google + account – GET ONE NOW. I posted some time ago an experiment I performed comparing the connections I was able to make on Facebook vs the amount of connections I made on Google+ Read Part I and Part II. And if you take a look at both my Facebook and Google+ account today, you will see that my conclusion still holds true. “What the hell does this have to do with Facebook charging me for self-promo? !” you ask. Facebook may charge for self-promo – but Google + does not. AND Google + out-performs Facebook in the ability to create a multitude of connections – if used correctly. I won’t go into discussing how to use Google+ correctly at the moment, as I already have discussed this in other posts. Begin to aggressively advertise the selling of your books on Smashwords, Barnes and Noble, and Kobo. Too many authors are still utilizing the KDP Select program in Amazon when, truthfully, the glory days of that program are in the past. Indie authors must begin to aggressively advertise their books on other platforms if they don’t want to be financially dependent on a indie-destroying-giant Amazon’s ever-changing algorithms. Get a Google+ account now. Aggressively advertise your books on other self-publishing platforms. My immunity helped, for a time. My gift, my ability to sense dragonkind’s whereabouts was an asset, priceless in its utility. I directed my men to attack, when possible, from a distance, keeping them away from the Call. We were fewer than the last encounter, and we dwindled with each battle. With every attack and slight encounter I had with dragonkind, the traitorous ache, the ability to sense their presence, the strange feeling of familiarity, increased. Fire fell, like white lava, roasting the men below…and yet it grew. Their wings whipped like sails against the broken sky, and still the need swelled within me. Toward the end, the need became an agonized desire to feel the wind, the sun, and the sky. Cecily woke to darkness. She’d set the alarm to go off early in order to leave and get to class without dealing with Daniel. There was no way she’d continue the fight from the day before. Avoiding him and her dad once she arrived home had been easy enough, even though being stuck in her room had sucked. Now, she had to leave before they woke. She fumbled in the dark, moving around the bed’s edge. When she reached the dresser’s lamp, she switched it on. Light flooded the feminine room. Her mom had insisted on buying ruffled quilts when Cecily would have liked something less frilly. Matching lace curtains hung from the window, and pillows of varying size covered the bed. The room was very clean. She’d carefully placed all her books in alphabetical order on the shelf above the dresser. Inside her closet, shoes sat in a neat row and clothes hung on hangers pointing in the same direction. She looked around. Everything looked perfect. She found her school clothes and dressed quickly. Once dressed, Cecily grabbed her schoolbooks, tiptoed down the stairs, then paused at the front door. Should she have breakfast? In that tense moment of silence, someone moved upstairs and Cecily fled out the door. By the time she reached school and entered class, she was out of breath. She looked around for her seat and saw Derek and Tariq. She smiled, feeling relieved. At least Brian and Jessica would stay out of her hair as long as he was around. When lunch came, Cecily ached with hunger. Skipping breakfast might not have been the best idea she’d ever had. She sat down at her lunch and focused ravenously on the food. Once satisfied, she leaned back and glanced at Derek who sat next to her. He was watching her, his eyes dark and somber. She surveyed his face and realized something. She could look him in the eye without feeling like drowning now. Weird. She raised her eyebrows. Derek wasn’t asking her on a date or something, was he? He misunderstood her expression and hastened to clarify. “We wouldn’t be alone or anything. Tariq would be there. Goodness knows he’s an effective enough chaperone.” He shot Tariq an acerbic look. Derek’s gaze snapped to hers. “We’re friends if you want us to be.” His voice sounded hesitant. Once school ended, she left Derek and Tariq and headed toward the house immediately. The last thing she wanted was to meet up with Daniel and go through a repeat of the day before. She walked home in silence, the crunch of broken asphalt beneath her shoes blending with the low songs from the Tenders finishing up their work in the woods. She felt so strange. She’d never done anything reckless before. She was the responsible one, quiet, neat, clean and good. Daniel had always been the wild child. Now she was doing something a little wild – and it felt good. Sleeping was hard. The plants, trees, and blooming flowers outside the house rustled in the night air, a gentle whisper in Cecily’s ears. The sound had always soothed her before, but now it felt like everything would keep her awake. She finally fell asleep during the dusky hours between night and morning. She woke up to light streaming through the bedroom window, and bounced out of bed. She could almost relate to Tara’s insane bunny-rabbit act now. Getting ready was even more difficult. Should she dress up and do hair and makeup? No. Both Dad and Daniel would notice. She only used makeup for school dances. She couldn’t dress too cute either. They would notice that also. So semi-cute would have to do. Cecily pulled on some jeans, a dark green baby tee, and her boots. Moving in front of the bedroom door mirror, she stopped and surveyed her hair. It was long and shiny with a hint of wave. When it was short it curled, but she’d let it grow halfway down her back. She grabbed a brush and did what she could. Her mother had loved to style her hair in long tiny braids, which was why Cecily kept it so long. She preferred it shorter but, like most things that reminded her of her mother, she kept it the way it had been. By the time she finished, it was past eleven. As long as she didn’t stop to eat she’d have time to get to the school. The walk was only fifteen minutes anyway. She grabbed her book sack with schoolbooks – this was the part that would have to fool Dad and Daniel – and left her room. There was a muffled noise of surprise. what it felt like, and now she knew. She felt buoyant with life. Cecily hurried up the street and took the long route to avoid getting caught. By the time she arrived at the school parking lot, she was winded from jogging part of the way. The only vehicle there was a black BMW, and one of its tinted windows rolled down as she walked up. “Yes, here you go.” He opened the passenger door. She sent a nod to Tariq in the back seat and settled in. Turning, she swept her eyes around the car in wonder. Humans weren’t allowed vehicles without special dispensation since the end of the dragon wars. Cars weren’t even built anymore. The only cars in existence were dragon-built, and what human could afford an object made with dragon magic? They drove to the shop and Derek ordered enough food to feed a small army. She blinked, dismayed, and he laughed. When they arrived at his apartment, she grabbed a bag of food, stepped out of the car, and looked around. Derek’s BMW stood out in the worst way. The apartments on each side of the street were old and run-down, and his car was the only one there. She followed as Derek and Tariq, arms packed high with bags of burritos, tramped up the stairs. Pausing to balance the bags, Derek unlocked the door to the lobby. He looked back and motioned for Cecily to join them. She moved ahead of them and gazed around, dismayed. The interior was as dingy as the outside of the building. The light was dim, the hallway walls were gray, and the burgundy stairway carpeting was torn and stained. “There’s been no crime since Tariq and I moved in. 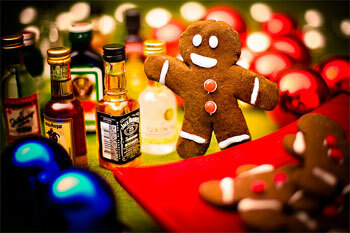 I think the other tenants are secretly happy,” Derek said cheerfully. “Come on.” He led the way up the stairs and stopped in front of the first apartment. After he unlocked it, he motioned her forward. Cecily went inside and looked around. The inside was old and dingy like the outside of the apartment. No surprise there, but how he could live in such a place if he was used to luxury items like cars? She looked back as Derek carried in the bags of food. Tariq came in and deposited his bags on the kitchen table before grabbing half-a-dozen burritos. He gave them both a short nod and went inside one of the bedrooms down the hall. Cecily shook her head at the bags piled on the table, then dug through them and looked for the one she’d ordered. After a moment, she gave up. There were just so damn many. After grabbing a random burrito, she sat on the couch to eat. When she bit into it, she had to wrinkle her nose. Derek grabbed a couple of burritos, produced a transmitter from somewhere, and flipped on the light screen. Cecily stared at the glowing, amorphous light in awe. “So that’s a light screen. 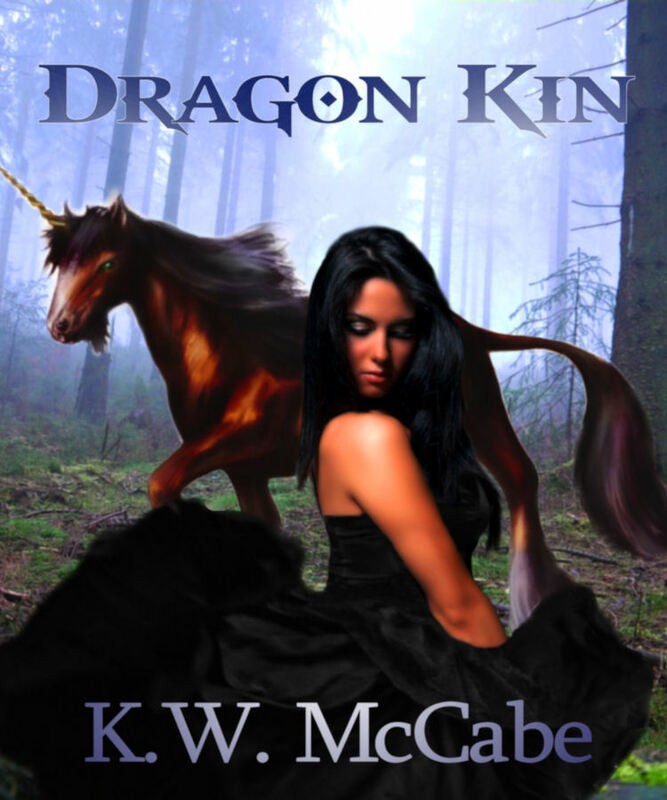 Dragon-built with dragon magic, right?” She glanced at Derek. She handed the burrito over and he took it in both hands and blew. Emerald green sparkles suffused the wrapper in a brilliant, wavering glow. She gasped. So that was the magic the adults feared, the magic dragons used to fuel new technology and old things from before the war. Dragon magic. But Derek’s magic didn’t seem bad. His was beautiful. She nearly dropped the burrito as the green sparkles faded away and left it hot to the touch. “Thanks,” she murmured. She finished eating self-consciously, aware of his closeness. Should she lean against the armrest? She didn’t want to look like she was avoiding him. Undecided and nervous, she almost didn’t hear Derek’s question. Derek returned her smile and turned back to the movie, sliding an arm behind her. Cecily stared at the screen, her heart jumping as his arm brushed her back. The worst part was, unlike her, he seemed unaffected. She felt a stab of irritation. Well, why would he be? He only wanted to be friends. Derek laughed at something in the movie and glanced her way. When she smiled, he grinned and turned back. Time crawled by and Cecily’s back burned from sitting rigid until Derek slid his arm down and pulled her to his side. Her heart flew to her throat and she stiffened, then inhaled. He smelled wonderful. Like sunny breezes and warm April showers. Did all dragons smell like that? She relaxed and leaned into him. She didn’t realize how close they were until Derek turned his head and looked straight into her eyes. She froze and the exhilarating feeling of his gaze swept over her. Was he going to kiss her? His head bent and she lifted her face. When Derek’s lips touched hers, she flushed with heat and slid her arms up around his shoulders. His fingers ran through her hair and she shivered. When he finally pulled away, she blinked. Great. Cecily huffed. Who knew dragons could be a tease? “You’ll learn about humans just as much there,” Cecily pointed out. “Only if you want to,” she teased. She grinned. “Oh, good.” She laughed as Derek pounced on her. The movie took longer than five minutes, but it didn’t matter. Cecily couldn’t remember anything from it anyway. When it was over, she took a quick look at the clock hanging on the kitchen wall, then peeked out the window behind the couch. The sky wasn’t dark yet, but it was turning pink. She needed to leave to get home before curfew. Behind them, Tariq cleared his throat, and Derek rolled his eyes and grabbed the car keys. The sun was setting by the time Derek reached the school. Cecily climbed out the car and waved before hurrying toward the cottage. When she arrived, she went straight to her room and locked the door. She wanted to tell someone, preferably Tara. Unfortunately, that girl couldn’t keep a secret, and they still weren’t talking anyway. Cecily sighed and pulled out her schoolbooks. Derek had hinted at something special, so it wasn’t likely she’d have time to study the next day.